This dish was a instant hit among all my relatives when my mom cooked it for the first time. Though a little tedious and take almost 1 hour to prepare from the raw materials to the dining table, but the outcome is worth all these hard work. Look for more recipe here, till then Happy Cooking and Happy Eating. 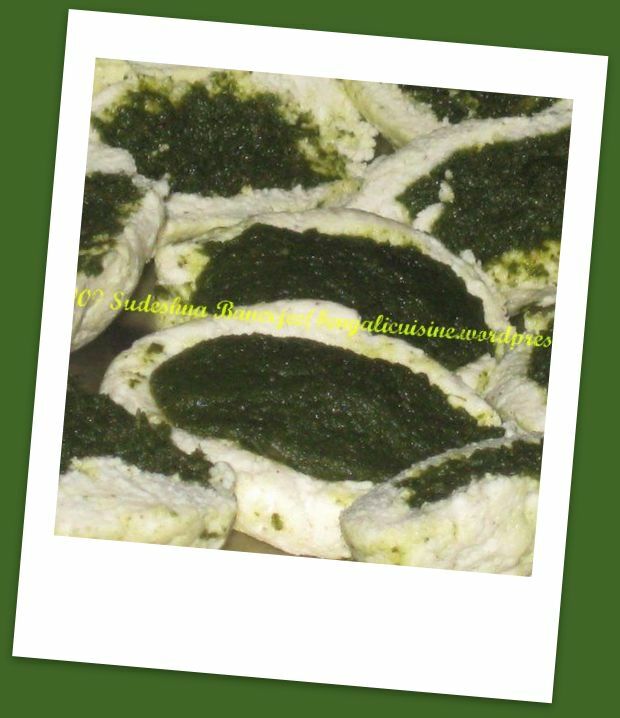 That looks like an excellent variation on the traditional palak paneer, I will have to give it a try! .-= Daily Spud´s last blog ..A Highly Spirited Affair =-. Thanks for dropping by. I always found that palak paneer cooked in the same old style, so thought of just making a little difference. And believe me with the white gravy it tastes really good. Thanks for the comment Santhosh, and apologies for replying so late. 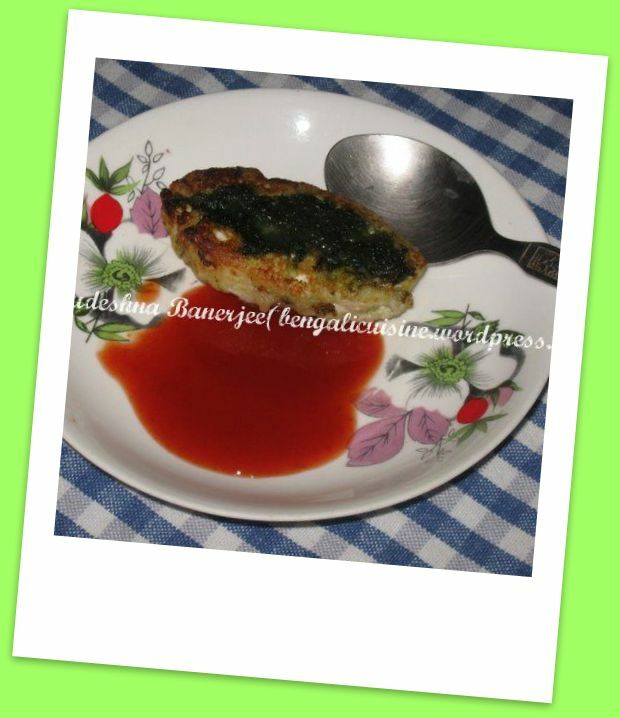 .-= Kalyan Banerjee´s last blog ..Top 7 Bengali Food Blogs =-. Looks very unique and appealing! Yeh you were absolutely right. There is a little different variation of the stuffing , I may put that up in my following posts. WOw kinda delicious dish..lovely n yummy!! 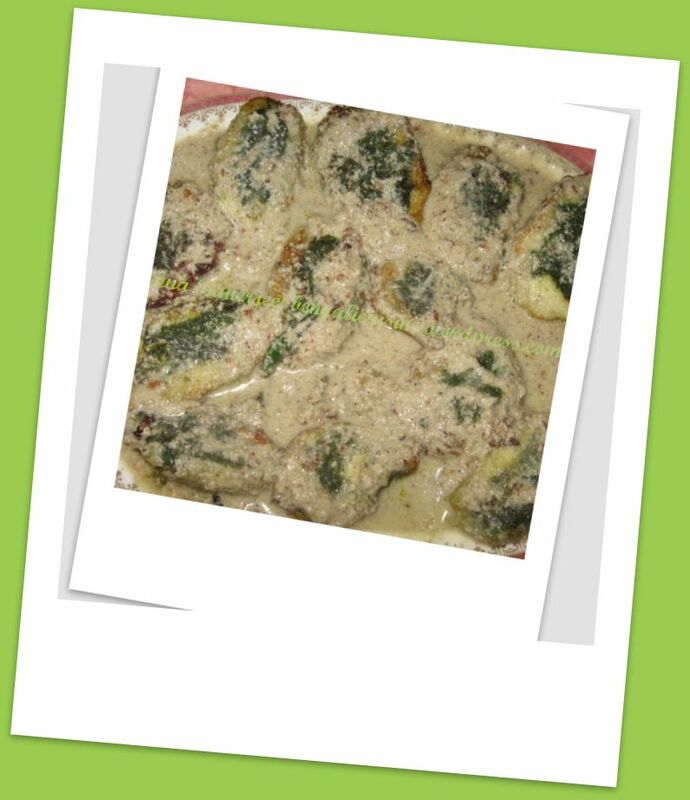 Ahh so I was rite ..hehe…looks very delicious..like both dry and gravy part..thanks for the wonderful recipe..